This is 2 coats of Deborah Lippmann Ray of Light topped with one coat of Sally Hansen Insta-Dri topcoat. I had been lemming this polish since it was released. Then I read reviews that the formula was problematic, so I opted to get Ray of Light's sister polish, Sweet Dreams, instead. However, I couldn't kill the lemming. So, when Ray of Light became available on Apothica.com, I snatched it up. In the bottle, it is so, so pretty. 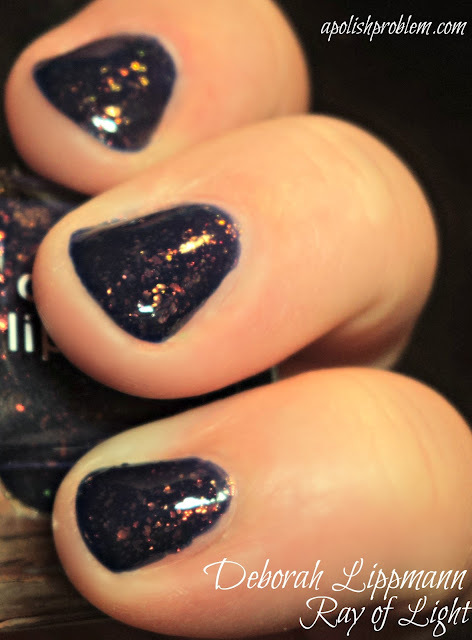 It's a deep, indigo jelly-ish creme loaded with multi-chrome flakies. On the nail, however, it was a little disappointing. It was thick, and yet runny all at the same time. It also didn't want to self-level (as you can see on my ring finger). Additionally, it dried a bit muddy, so you must use a topcoat, and I probably would use two coats of topcoat. All that said, It's still beautiful, so I am happy that I finally got my hands on it. Just know that if you are lemming it, too, it's not the easiest polish to work with. If you love the look of the multi-chrome flakies from Deborah Lippmann, I would first recommend picking up Sweet Dreams (because it's fantastic). 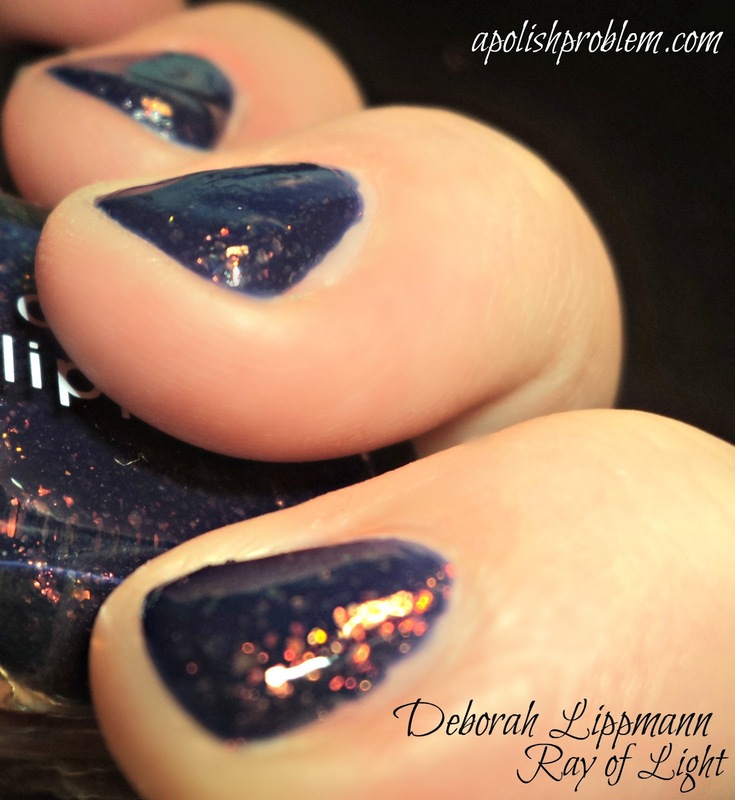 Also, please keep in mind that Deborah Lippmann's information states that this polish, as well as Sweet Dreams, have 3-D holographic flakies. These flakies are not holographic, they are multichrome. Ray of Light is available through various online outlets, including Apothica.com. Retail price is $18 a bottle. Ray of Light was purchased by me from Apothica.com. I used a gift card that I receive though my sponsorship agreement with Apothica. The above links in this post link to a previous post on this blog, as well as to this product on Apothica's website and are not affiliate links.